Game Expansions and DLCs available for Assassin's Creed Origins Video Game. The second expansion to Assassin’s Creed: Origins developed by the creators of the base game – Ubisoft Montreal. 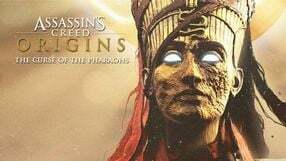 This time around, the players get to familiarize themselves with the Egyptian mythology – the story featured in this DLC revolves around the titular curse, which has brought one of the pharaohs back from the world of the dead and unleashed various legendary beasts. In Assassin’s Creed Origins: The Curse of the Pharaohs, developers have increased the experience level cap and allowed Bayek to learn entirely new abilities. This add-on also introduces an entire new region filled with story-related quests and numerous side quests just waiting for the player to be discovered. The first big DLC for Assassin’s Creed: Origins, set many years after the events from the base game. We play once again as Bayek, who this time goes to the Sinai peninsula and gets dragged into a conflict between Egyptian rebels and Roman occupants. This lets us witness another chapter in the history of the Assassin Order, the rise of which we could see in the base title. 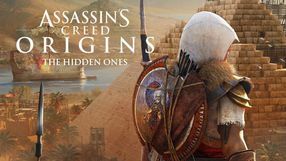 Assassin’s Creed: Origin – The Hidden Ones doesn’t change any of game’s mechanics – the only thing that developers from Ubisoft Montreal have changed was increasing the amount of experience our character can earn. Other than that, the add-on focuses on introducing new arena, where we can find both main story missions and various side activities.